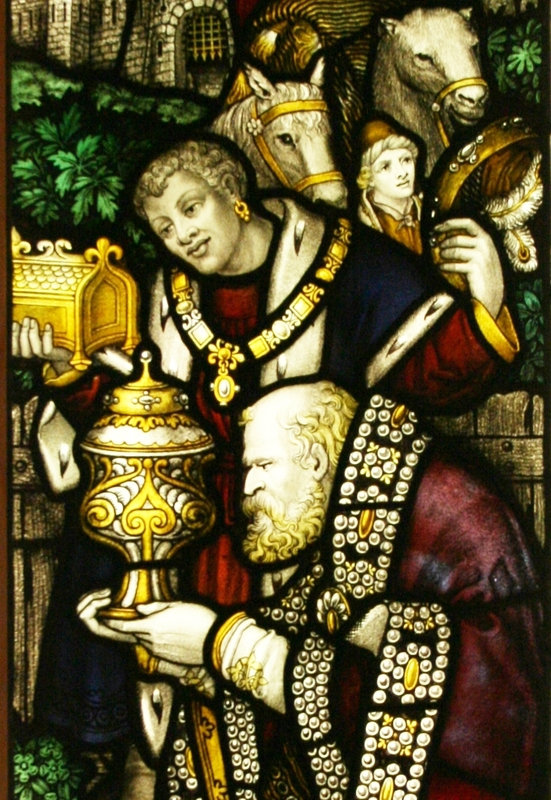 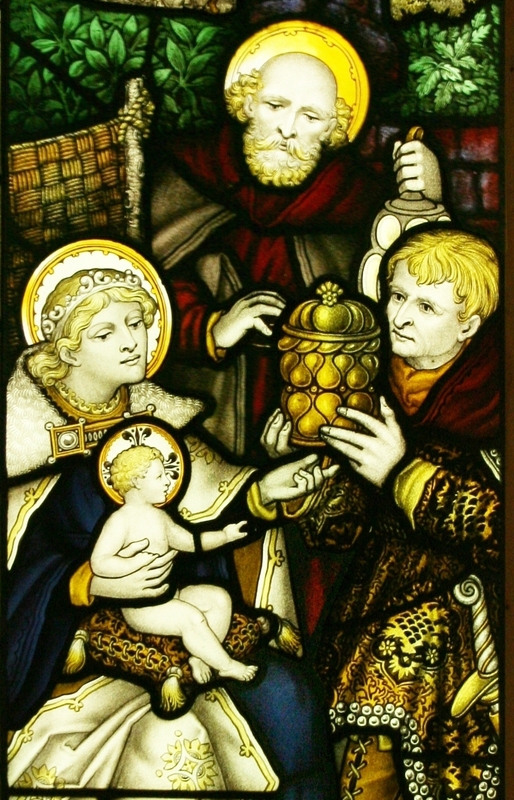 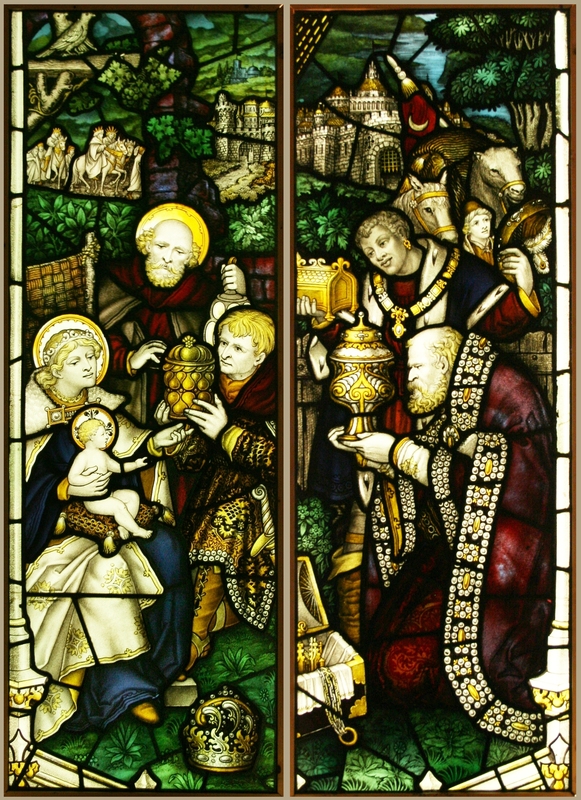 Pair of antique Victorian Gothic Revival stained glass windows, c1906, each hand painted depicting the 3 Kings presenting gifts to Mary, Joseph and Jesus. 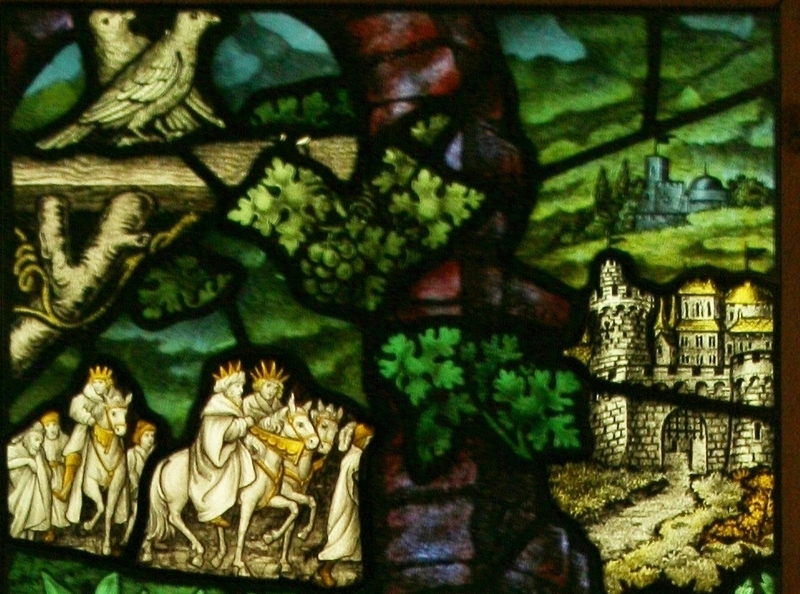 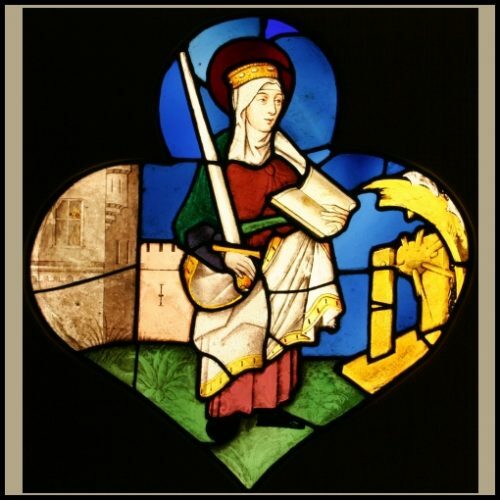 Very decorative windows and in excellent original condition. 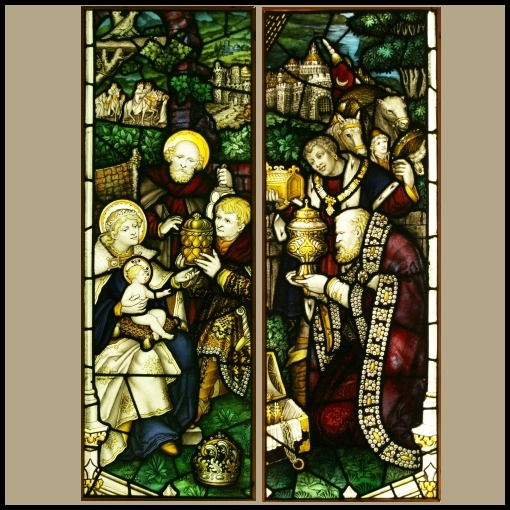 These windows were removed from the south Nave of the Holy Cross chapel, Haywards Heath, Sussex, it has now been redeveloped into flats.